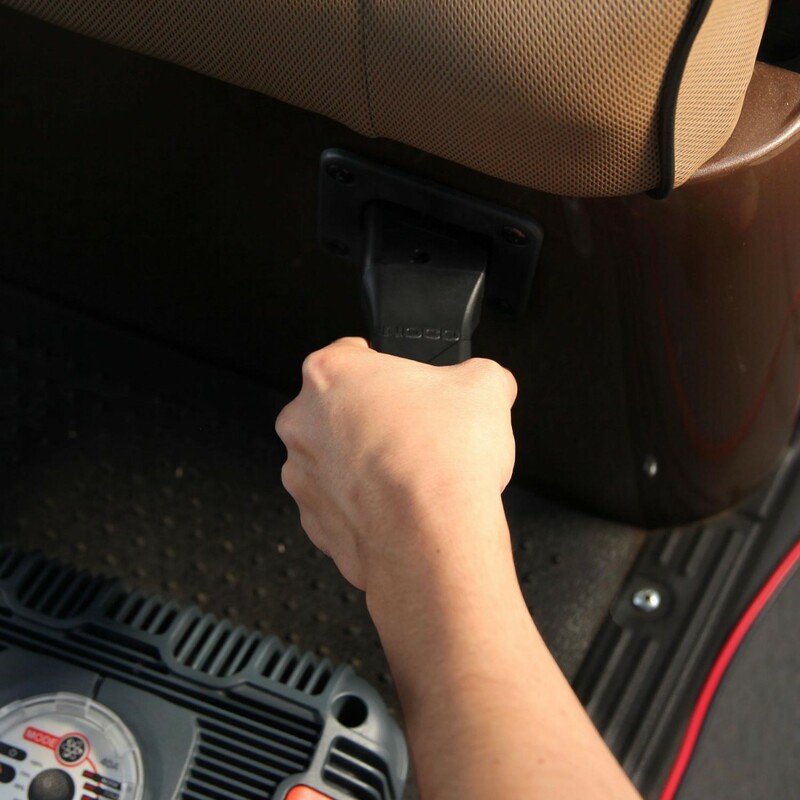 The GXC009 Powerwise D-Plug provides the option for quick connection and disconnection to EZ-Go golf cart battery charging ports. 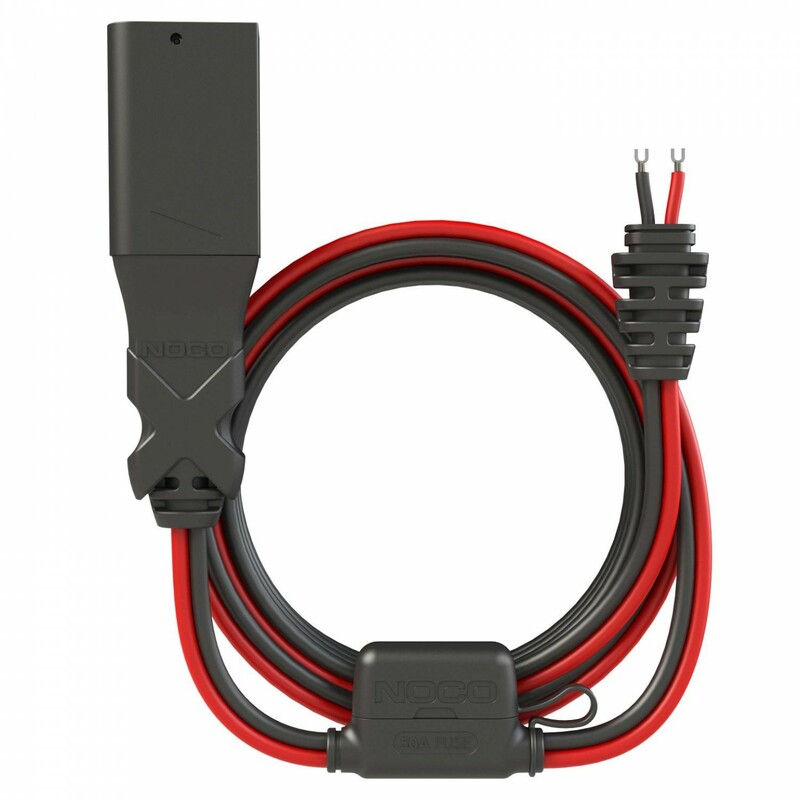 The GXC009 connector is compatible with the NOCO GX3626 Industrial Charger. 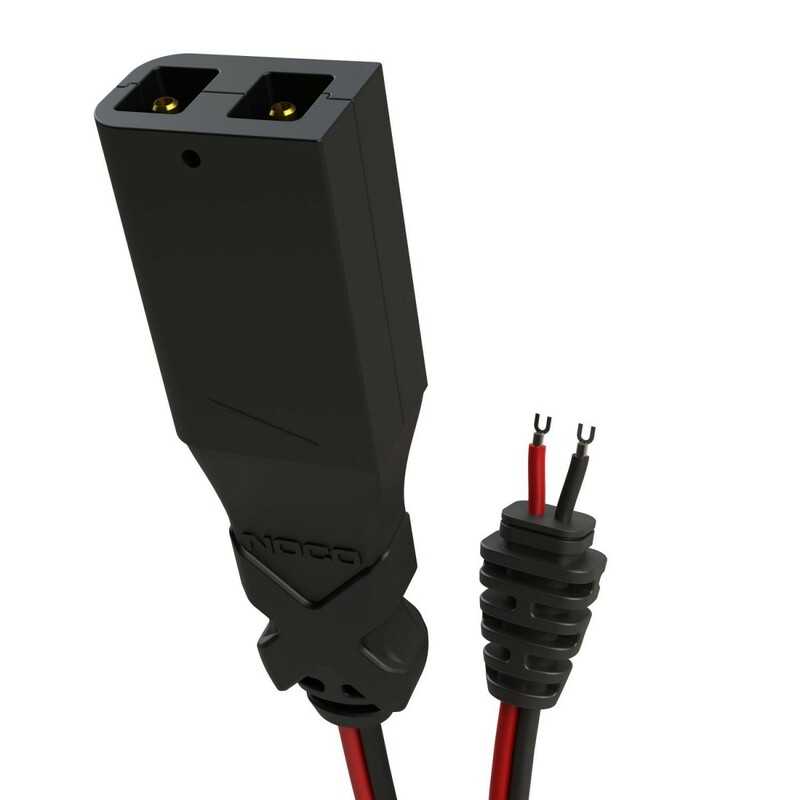 The 7' DC Output Cable with EZ-Go D-plug style connector is designed tough for rugged environments. In addition, the connector is shaped and polarized to prevent misconnections. Optional connector for the NOCO GX3626 Battery Charger. 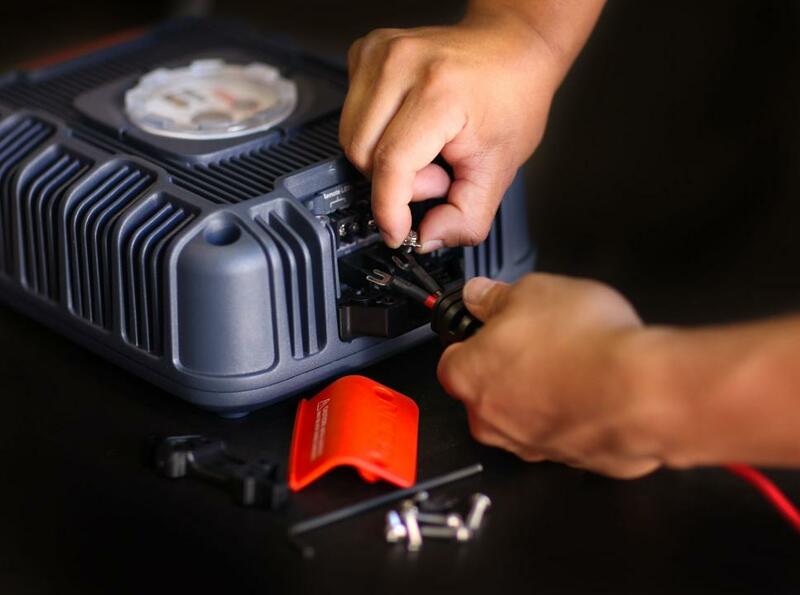 Connect and customize the NOCO GX3626 Industrial Charger. Pair the high-end GX3626 with the highest quality EZ-Go D-plug connector available. To install the GXC009 EZ-Go D-plug connector remove the hex bolts on the cover plate and cable-lock on the GX3626 charger. 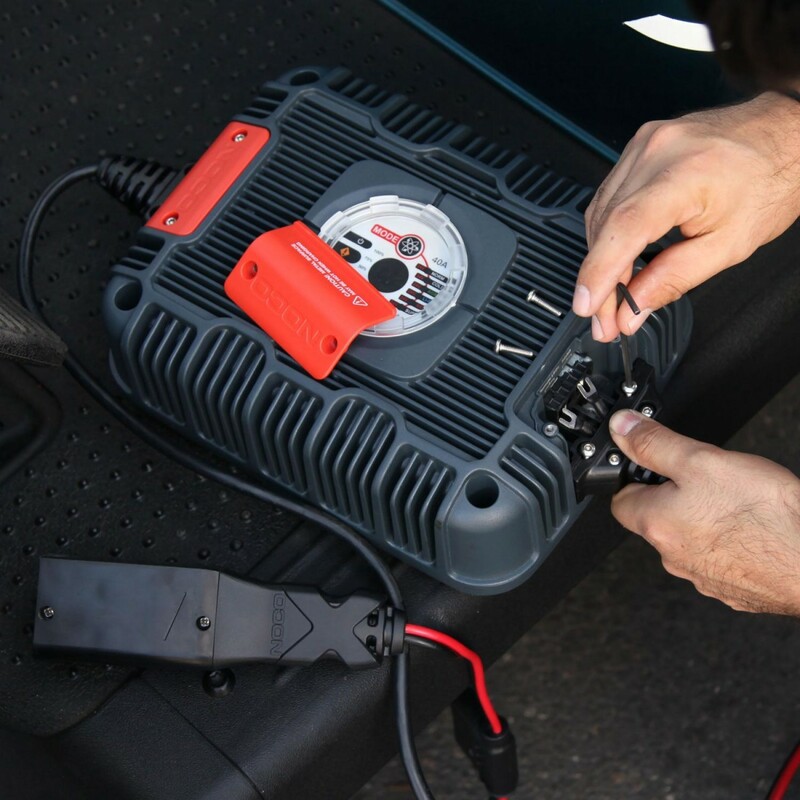 Replace the existing battery connector with the new golf cart battery charging connector. Screw in the GXC009's positive and negative wire to their respective connections on the GX3626 industrial charger. 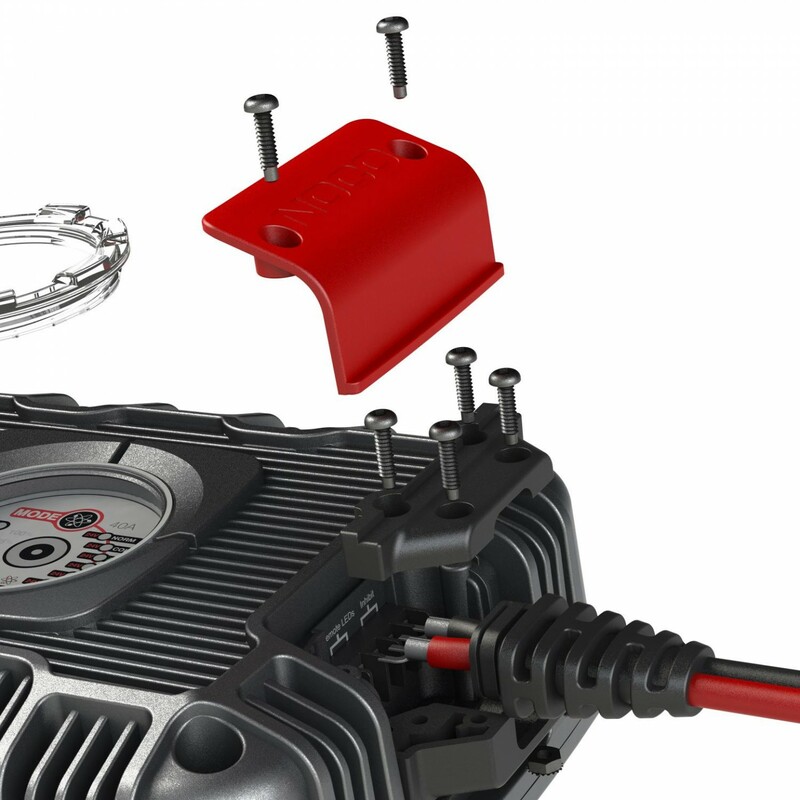 Lastly, replace the cover plate and hex bolts before safely connecting the GXC009 D-Plug to charge your EZ-Go golf cart. The GXC009 's Zinc alloy 50A Maxi fuse is designed for automotive, battery, and general DC applications and protects you and your equipment. 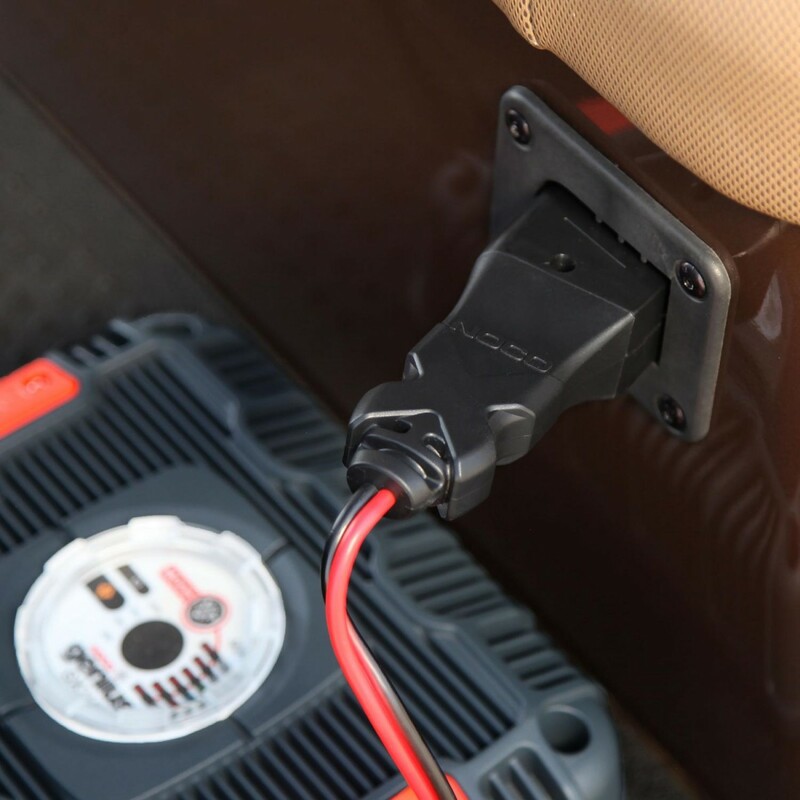 Sometimes electrical systems can overload or short-circuit if not used correctly (like pushing too much power, or jamming the cord in your door or hood). Although those situations are rare, the fuse stops potential harm from occurring.